Donna swimming with stingrays in Moorea. Headed on a much needed break from the cold weather? Unless you’re a fan of winter adventures, January through March are great months for a warm-weather, sun-filled destination. 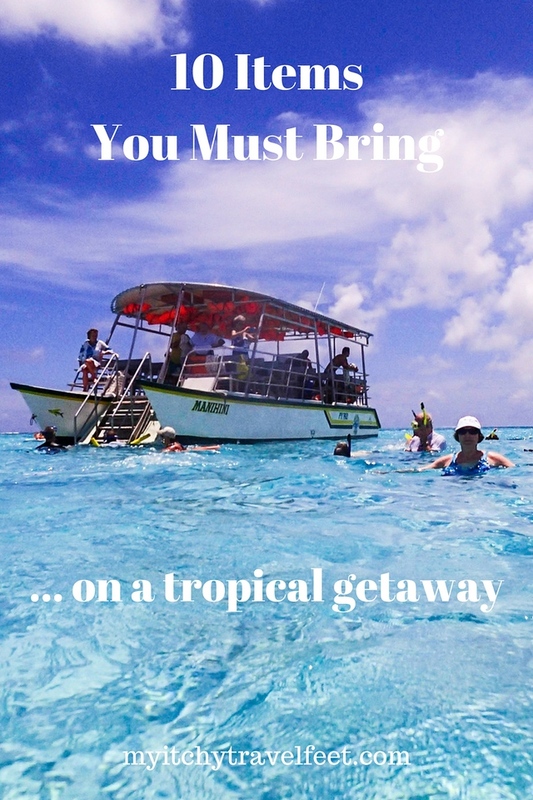 Whether you’re looking to spend your time beach hopping on Molokai, snorkeling in Rangiroa or just leisurely lounging around the resort pool, here are 10 tropical getaway essentials to take with you. 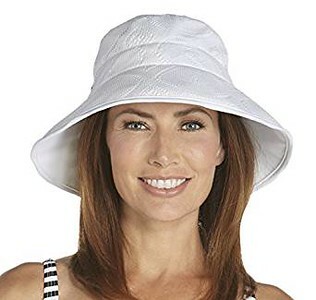 This Coolibar UPF 50+ Beach Hat is a must when hitting any sunny destination. As we’ve explained in our article on skin cancer travel tips, you really can’t have enough sun protection. So taking this breezy hat wherever you travel is a solid idea. Plus it’s cute! 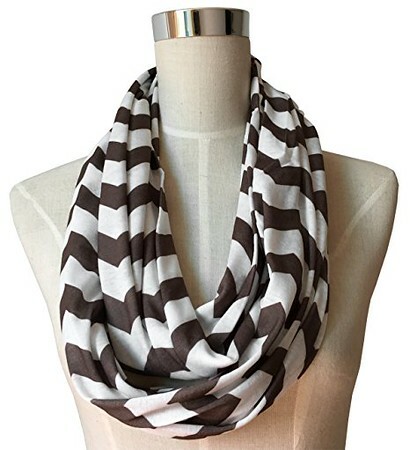 We love any clothing item that keeps our hands free so the Infinite Travel Scarf with a hidden zipper is a seriously “handy” travel item. Hide your hotel key, phone, or moolah in its hidden zipper and hit the road! This stylish Coolibar UPF Womens Travel Shirt is a fantastic idea if you’re planning a trip to a hot and humid destination. Along with its sophisticated, yet laid-back style, the UPF 50+ button down shirt has mesh ventilation panels under the arms and along the sides as well as a subtle mesh back for extra ventilation. You’ll definitely want to wear it on tropical hikes. This Striped Tote Bag is so convenient on a tropical getaway. Use it as a travel bag or beach bag. 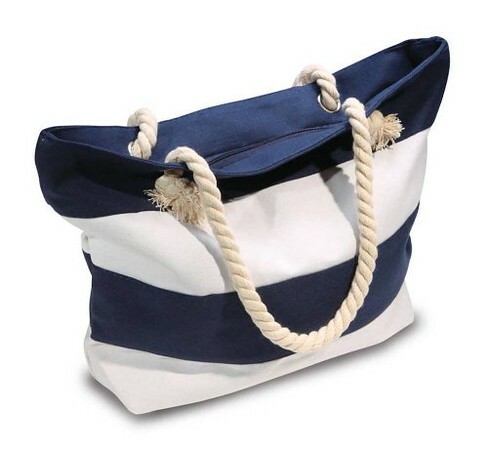 If you do take this striped tote bag to the beach or boating, it even comes with a handy smartphone dry bag. 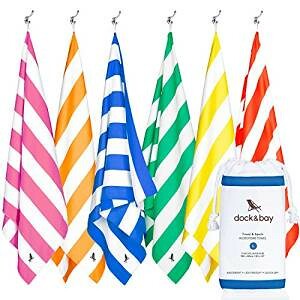 It’s always a great idea to bring a lightweight, quick-drying towel like this compact Dock & Bay Microfiber Travel Towel when out and about, but they’re especially handy when exploring local beaches. Who wants to lug a wet, heavy beach towel around? By now, most of us know the importance of protecting our skin from the harsh effects of sun damage. However, as travelers, it’s not always easy to carry around a heavy bottle of sunscreen, much less get it through TSA screening for carryons. 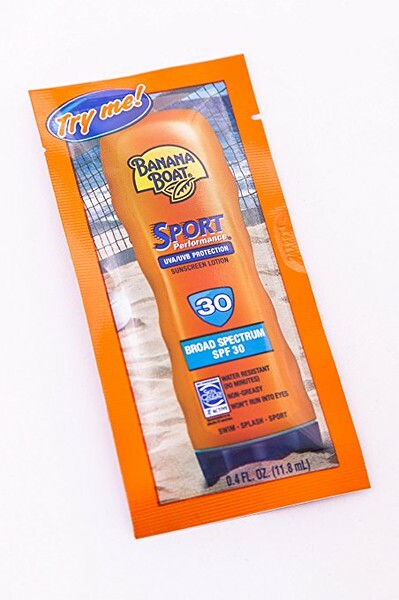 These individual Banana Boat Travel Sunscreen packets are just perfect for spontaneous trips to the beach or just walking around a new city. Sick of making a mad dash to find a bowl of rice for your water-logged phone? 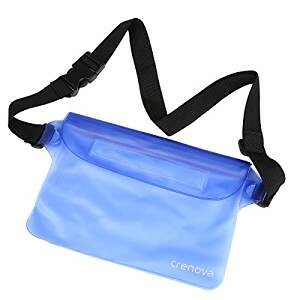 Carry this Waterproof Pouch with you to avoid that dreaded situation. It also let’s you keep valuables safe from the splish-splash of boats or when out at the beach. 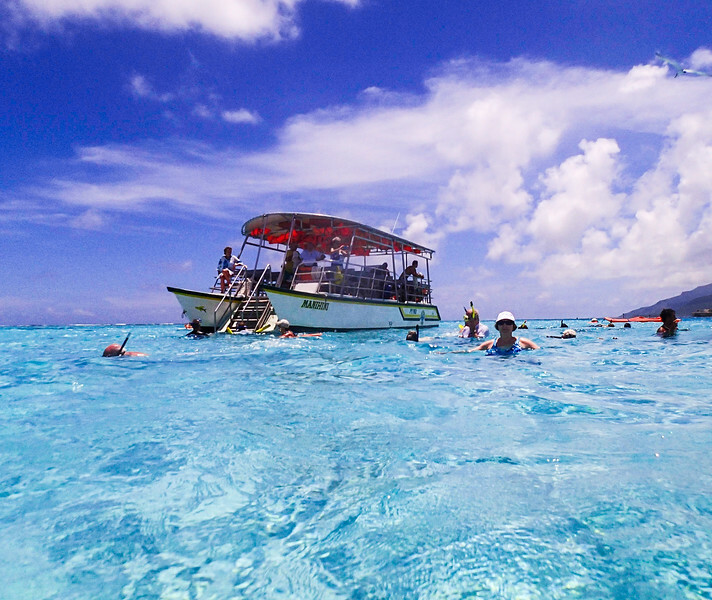 Sea sickness can really ruin an otherwise fun day at sea—Donna can tell you all about that. So do what she does—take these Anti-Nausea Sea Bands with you to ensure a fun day versus a sick day! Sick of carrying around fragile travel bottles that break open while you’re on the road? These durable Silicone Travel Bottles are a great way to lighten your load when traveling. There you have it—0ur tropical getaway essentials. Of course we’ll be adding to the list as we find more must-haves for your next warm weather getaway. Disclosure: Affiliate links are included for your convenience. However, My Itchy Travel Feet receives a small percentage of the sale at no additional cost to you.